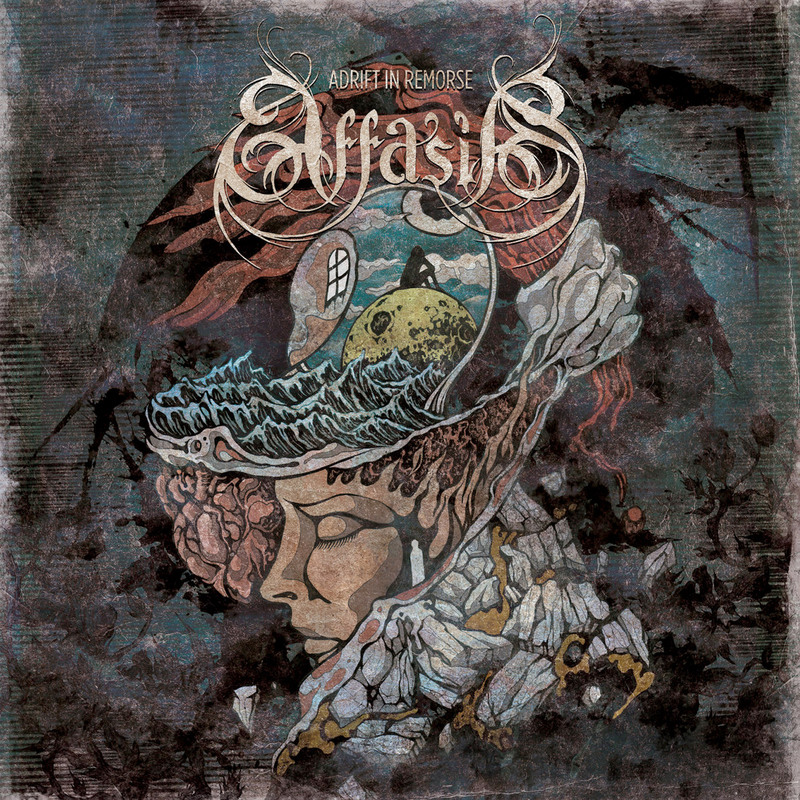 Track Premiere + Interview: Affasia, "Dissolute"
I cited Affasia's debut EP, Adrift in Remorse, in the "Honorable Mentions" of my 2017 Year-End Favorites list, and with good reason: the four-song, 25-minute outing was originally intended to be amongst my favorite releases of 2017. That is, until it was abruptly pulled offline in favor of a physical release through Transcending Records. Jason: I honestly believe all the hardships endured over that span of time ultimately helped lead us to a better final result in the end. While it was very difficult at times, the wait actually helped us refine our sound, which continues to evolve. Noah: Without writing a full-page article, what I would like to say is that despite the hardships, lineup changes, and previous attempts to record, we did make it this far. To finally release [Adrift in Remorse] was no small feat, and it took persistence and endurance. I'd prefer not to get into particulars about why certain people or things didn't work out. There was a time when they did, and we genuinely appreciate their contributions. Adrift in Remorse was actually digitally self-released in November of 2017 for a very brief spell before rightfully being scooped up by Transcending Records for a proper release. How did that deal come about so quickly after the EP's initial brief appearance on Bandcamp? Noah: Well, again, not to divulge all secrets, but a friend who has connections with the label passed the music along to Mike Ramirez—the owner of Transcending Records—and Mike contacted me directly about the band. Shortly thereafter, we agreed to release the EP physically through the label. They're a new and exciting little label—which I already have loyalty to—and I know we have a lot to look forward to with them. Jason: We can't thank Mike and Transcending Records enough for their support and confidence in our music, and are looking forward to our future with them. The track we're premiering today is "Dissolute." This composition is slightly more stripped down and straightforward in structure, with some of the EP's most openly melodic keyboards; and the same powerfully surging, emotive guitar work heard throughout. Jason: In the writing process, we definitely went in with the mindset of having this particular track build up the atmosphere slowly and then end with a more powerful and aggressive tone. Nick: This song started off with an entirely different bassline grounding the first half when we originally wrote it in 2013. Then I left the band and when I rejoined in 2016, I had completely forgotten my original bassline. There were no recordings of it, so I ended up completely rewriting it. It's now simpler and I think more effective. The bridge section is just bass and vocals, which leads into the best moment on the EP for me, which is where the scream and the heavy guitars all burst in at once. It just gives me chills every time. Noah: It's true that it is a bit more simple in structure and build, but we feel as a whole that it represents what we do best as a group. The keys are very much intended to drive the melody of the song, aside from the vocals. We really think of it as a keyboard-driven song—at least the first half. Although Jason probably won't admit it, his guitar work is always powerful and grabbing. I love this track, and Chase from Transcending Records did an amazing job with the lyric video. We hope folks enjoy it. I've not actually seen any lyrics yet. Without revealing more than you'd prefer, can you discuss the lyrical direction of the material, and/or "Dissolute" in particular? Noah: Of course, I prefer my lyrics to be left to the interpretation of the listener. However, this song is quite ambiguous in the sense of lacking pronouns. I think the best explanation of the meaning is what I sent Costin [Chioreanu], the cover artwork artist, when he asked for the lyrics and the meaning: "'Dissolute' is about coping with depression through chemicals and masking it to live daily life." So, in a way, the title says exactly what it's about. The press release for Adrift in Remorse cites the group drawing from influences such as darkwave, shoegaze, classical, etc. This is not uncommon for doom-leaning acts, but I love talking with musicians about their less obvious influences or listening habits and how those sounds play into their own aesthetic. Tell me about some of the band's non-metal inspirations and how they might work their way into the songwriting, etc.? Jason: While maintaining a sort of doom vibe, our intent was to definitely pull from our other influences when writing. I enjoy the atmosphere created by certain post-punk, darkwave, and gothic rock acts, as I did when growing up. While metal has always been my true love, I can't help but include those other elements that have inspired me in the past, and very much today as well. The Cure, obviously, is one of those bands that has influenced me—among countless others—to this very day. Nowadays, I'm really enjoying acts like Soror Dolorosa, Soft Kill, Winter Severity Index, Drab Majesty, and The Agnes Circle, just to name a few—alongside my longtime metal influences such as Katatonia, Swallow the Sun, Anathema, Saturnus, Type O Negative, Hanging Garden, etc. Nick: My biggest influence when writing bass is The Cure. Whenever I'm in doubt, I just ask myself, "What would Simon Gallup do?" 9 times out of 10, that will light the way. Noah: I have to admit that my vocals for this material did evolve over time, so influences most likely changed with them as well. I listen to a lot of different music, but I do have a few singers and styles that I lean toward at times. Let's see if others can pick out which ones. There have been several comparisons. Some non-metal inspirations for me are some things I grew up enjoying: darkwave, new wave, post-punk, even a little goth… Some bands that have influenced me would be The Cure, Depeche Mode, Type O Negative, Bauhaus and Peter Murphy, Echo & The Bunnymen, Joy Division, Danzig, The Smiths, Faith No More, Rollins Band… I could go on and on. One old album that keeps coming back into the rotation for me is The Sound, From the Lion's Mouth. Great songs and just solid atmosphere. What's the current status of Affasia's lineup moving forward? Are you actively seeking out a few more permanent members in order to increase the band's live presence and continue working on new material? Pre-order Adrift in Remorse on CD. If for some reason you'd prefer a non-physical experience, check out Bandcamp. Keep up with Affasia through Facebook.